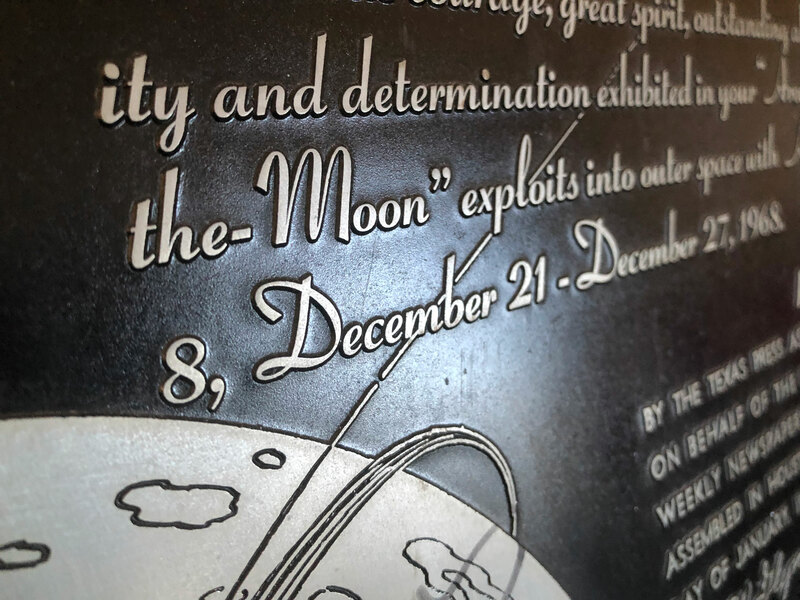 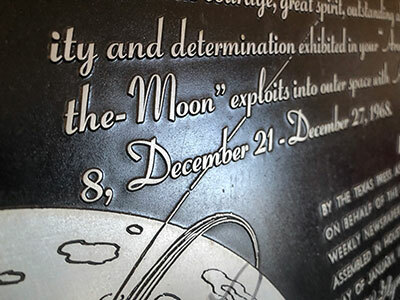 An [URL=https://texashistory.unt.edu/ark:/67531/metapth82285/m1/5/]article[/URL] from the Bartlett (Texas) Tribune details an award ceremony 50 years ago on Jan. 25, 1969, where the Apollo 8 crew were honored in-absentia by the Texas Press Association. 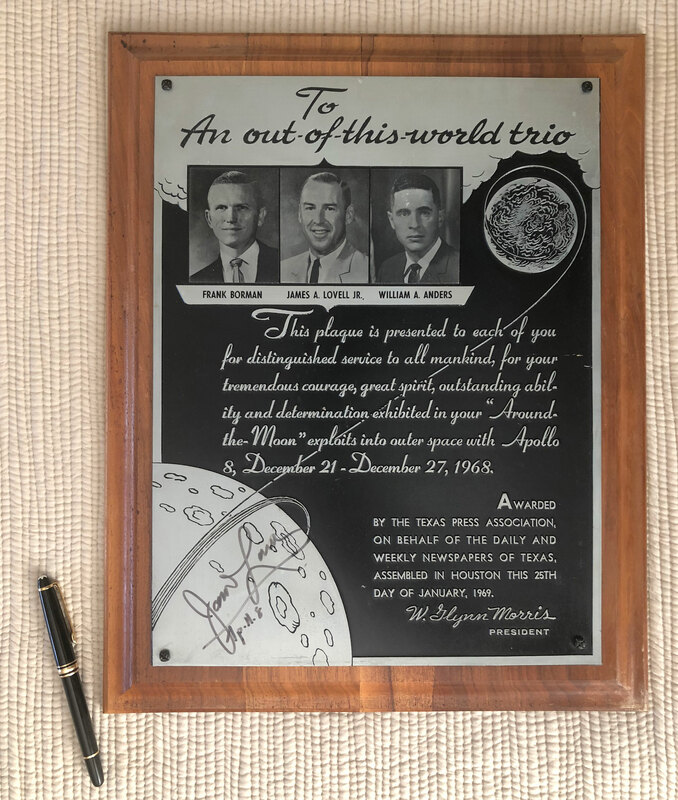 Paul Haney represented NASA for the event and presumably brought back three sizable high-relief plaques for the astronauts. Here is Jim Lovell's copy.